Remember that time in August when I disappeared for a week? Because that was the whole point of the trip, you see. This is about half of us. 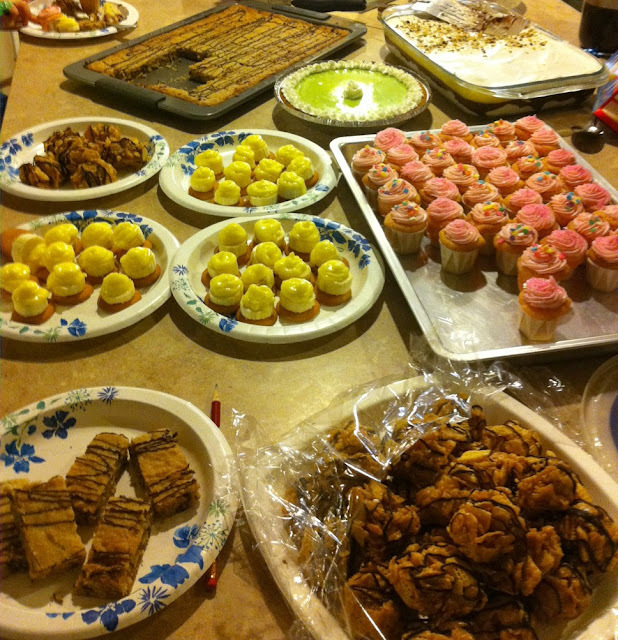 Several families weren’t able to make it this year, but we had a great time with those who came! Fun fact: the kids outnumbered the adults. Finding a time for everyone to get together gets harder and harder as the family grows, but we’ve gotten pretty good at meeting up at least once a year! Those who weren’t there were missed… skype just isn’t quite the same as the real thing. Because there were so many of us, several families (myself included) chose to set up tents in the backyard so there would be room in the house for everyone to hang out during the day. My little 2-man tent was perfect for the week, and it really did feel like camping with the mountains and pine trees surrounding us. We had a projector set up one night and watched Wreak-it Ralph. The kids were asleep halfway through and spent the next day re-watching it. 5. Old Mission State Park. One afternoon was spent at the nearby Sacred Heart Mission, Idaho’s oldest standing building (built between 1850 and 1853 by Catholic missionaries and members of the Coeur d’Alene tribe). There were many rounds of duck, duck, goose once the kids were done educating themselves. We had a dance one night with my brother-in-law as DJ. There have already been requests to bring the glow sticks and finger lights back next year. 8. Camp fires and dutch ovens. The fire really helped add to the ‘camping’ ambiance. Someday, I will have a fire pit in my backyard. One afternoon we rented a pool in a nearby town and spent a couple hours playing there. Also, they don’t let you do anything backwards off that diving board. A couple of us got a little talking to by the lifeguards. **Note to self: remember to bring ear plugs next time. The roosters waaaay too cheerful and talkative in the morning. Who else had a reunion this year? white girls like me burn even on cloudy days. Fact: I didn’t wear my swim suit once in 2012. The opportunity just never came up. So when Mo’s parents announced that they were planning a trip to Idaho City’s hot springs for Memorial Day, I was pretty excited! The drive up to Idaho City took about an hour…. 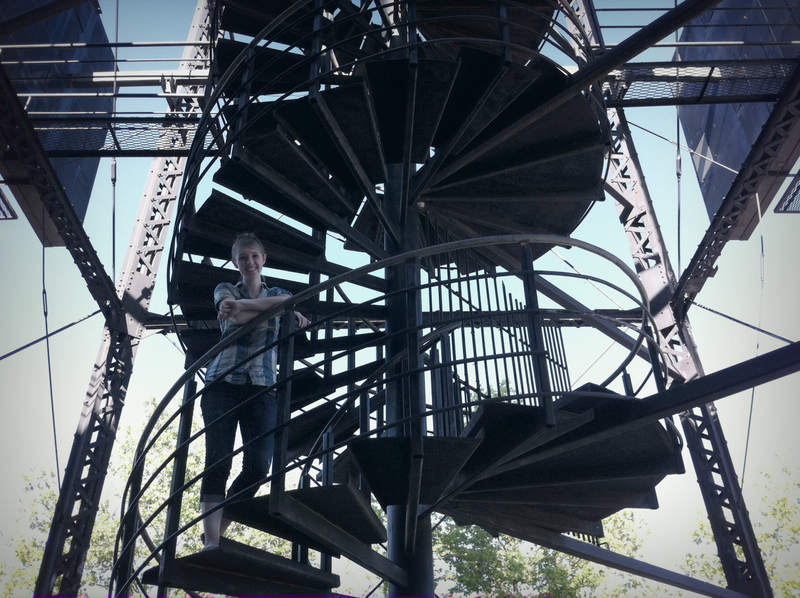 and when we got there, I was pleasantly surprised by how nice it was! The resort has been around for years (Mo remembers going there when he was 9!) but they underwent a recent renovation and the whole place looks amazing. And, being Memorial Day, it was only fitting that we should wander through Idaho City’s creepy quaint cemetery. What did you do for your holiday weekend? My mom and I went to the nearby canyon to take pictures and this is what we got. To all those people who tell me I look like I’m 18… no. THIS is what I looked like when I was 18.
ps. Don’t forget to enter the giveaway from yesterday! I love your ability to start and finish projects. I love that you’re a man of your word. I love how you’ll pause and ask if I got a picture before you start eating your ___(fill in the blank with a dessert/baked good/pastry)___. I love your tan lines. It means you’ve been on your bike all summer. I love how you analyze things. It means you don’t make decisions lightly (and for that reason, I ‘m so flattered you picked me). I love how laid-back you are. It means less stress in life and easy to please. Except that you’re really hard to shop for, which we’ve already established. I love how supportive and proud you are of me. I love how happy we are when we’re together. and how you make me laugh. I especially love the man you are and trying to become. ps. here’s how we celebrated a 26 year old Mo. I’ve been reuniting with my family this week. And working the night shift. But I’ll talk about that some other time. 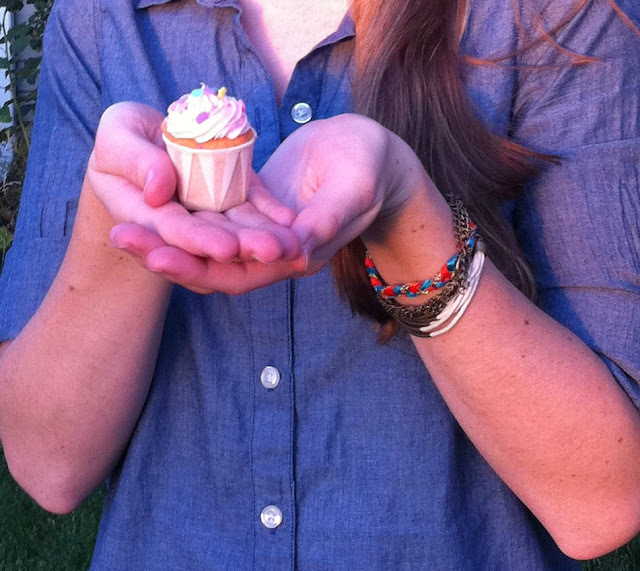 I made wee little cupcakes. it’s become somewhat of an annual tradition now. Also! I write articles for this online magazine, LA Family . This week I talked about the FOUR things I regret in my life. So far. father’s day weekend. (aka most unoriginal title ever). and so grateful I was able to see my Dad on Father’s Day! ps. If you all would be so kind, I have a favor to ask. My brother and brother-in-law are starting up a business, Story Playground, and NEED VOTES to get a grant for small businesses! Then click the ‘log in with facebook’ link. Like/Dislike. I won something! and I never win stuff! Seriously! 1. the fact that I worked three days, I have one day off, then I work another three days. nursing schedules are kind of weird sometimes. 2. Either Pinterest is broken or no one is pinning things this weekend. weekends are so dead online. 3. I tried using my frozen Rhodes rolls for dinner the other night. Is it possible for something to be frozen too long? My theory is a bad batch with no yeast. 1. Our Memorial Day was lovely. We spent the afternoon working on some projects (see this post), then that night we had a family BBQ. Uncle Mo taught the kids how to build a fire. I like all kinds of mail. Especially when said mail is from baking supply companies. Stormy over at Life’s a Dance hosted a giveaway and guess who won? And it came in the mail last night! 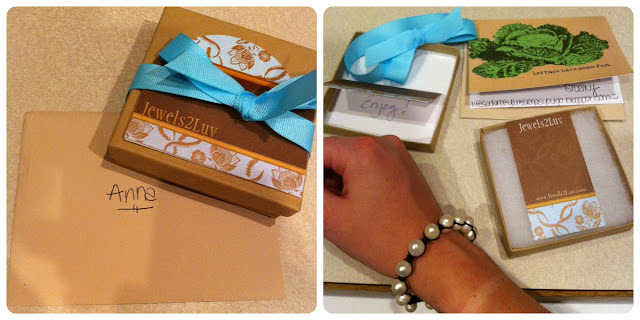 I won a bracelet from Jewels2Luv, an adorable etsy shop. I’m in love it! My first impression was that for a piece of jewelry, it’s very well made and durable. My last bracelet from Claire’s broke after wearing it 3 times. I’m looking forward to wearing this one quite a bit. But how could you dislike hills + bikes + this guy?? FYI: expect lots of bike posts to come this week! It’s Nampa’s Bike Week, of course! nurses week wrap-up. cake. mother’s day. Thanks for participating in this years’ Nurses week! 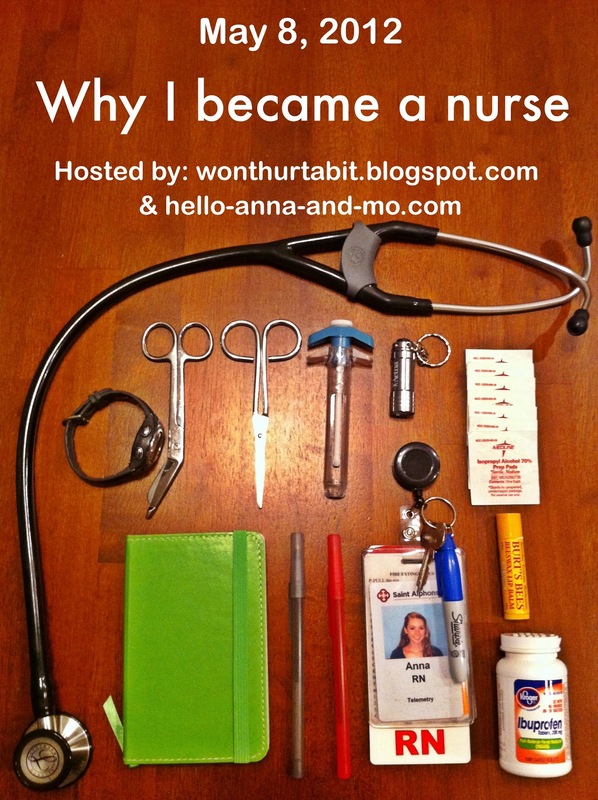 I thoroughly enjoyed the reading why you all became nurses in the link-up, all the comments from my Florence post, talking about Mo’s traumatizing experience, and reading comments about your must-haves at work. I wish every month had nurse’s week!! I’ll start brainstorming for May 2013 so we can make it even more special. I decided to go with funfetti cake with rainbow chip icing. The makings of a perfect birthday cake. 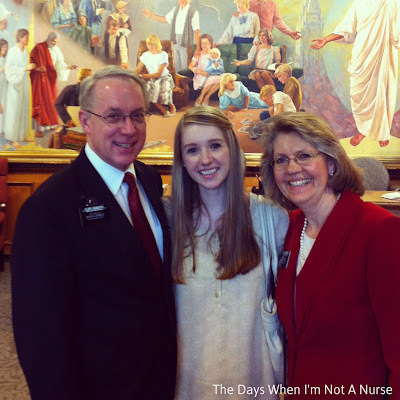 My sweet sister Becky wrote up the nicest Nurse’s Week post ever! You should go read it! And check out the rest of her blog while you’re at it, she’s one of those cool moms the kids bring their friends over to meet. And I hope you know being a mom x 11 means you get 11 x the love other moms get. Also, Happy Mother’s Day to all you mom readers out there! 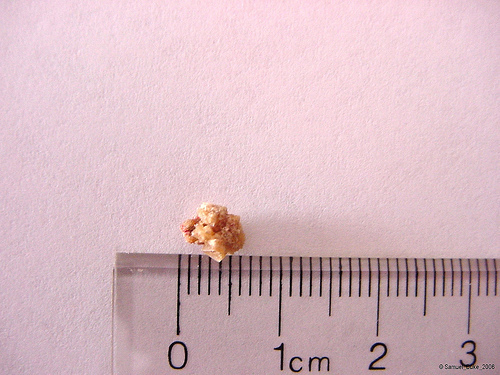 I want to share the story of Mo & the Kidney Stone. It was a Sunday morning in a itty-bitty town called Rexburg, Idaho. Heard of it? Didn’t think so. I was finishing my bachelor’s in nursing at BYU-Idaho and working part-time at the itty-bitty hospital in town. I woke up around 0530 so I could get to work by 6. I remember I kissed Mo goodbye and headed out the door. It was around 0900 when he called me at work, telling me that he’d been having pain in his side all morning and it was getting worse. Being a Sunday, the only place he could go was the ER of the hospital I was working at. I met him in the lobby. He looked uncomfortable but he said the pain was subsiding. We talked about a few different options and finally decided to send him back home to see if he could rest, thinking it was gone for good. Within 30 minutes, he was back at the hospital. This time around, it wasn’t discomfort, it was agony that I saw on his face. He was doubled over and could barely talk. I’m pretty sure we gave the registration lady the wrong social security number. He kept pacing, like it would help the pain. I followed as he was led to a curtained off gurney. The nurse had him breath into a mask since he was hyperventilating. After two tries to get an IV, Mo was finally given some IV morphine and he started get some relief. One x-ray later, the doctor told him that the stone was small enough to pass on his own, gave him a prescription for pain pills, told him to stay hydrated, and discharged him. Because I was still working upstairs, our neighbor came and drove poor husband home. Quoting from my journal here, “It was so hard to see him in so much pain and be helpless like that…he was in pain from Sunday until Tuesday morning when he passed the little thing.” [honey, I’m sure I meant ‘little’ in the best way possible.] Strangely enough, that Tuesday was Cinco de Mayo. Our 2012 Cinco de mayo was not so eventful, thank goodness. Happy 3rd anniversary of passing your stone, Mo. Here’s to many more stone-free years! This is why nurses shouldn’t take care of family. p.s. Don’t forget! Tomorrow is a link-up with Renee from This Won’t Hurt A Bit! All nurses and nursing students should totally join us!